Unconstrained by standard tonal and rhythmic paradigms, the duo of master musicians Robyn Schulkowsky and Joey Baron continue to explore the precise, noisy, and beautiful. The duo’s past 15 years have included the release of the cd “Dinosaur Dances”, a residency at Grand Central Station NYC, ongoing work with data expert Dr. Nilam Ram and studiolab “Playing The Archives”, close work with composer Christian Wolff, along with performances and workshops in South America , the U.S., Europe, and China. Their latest duo cd “NOW YOU HEAR ME” is on the Swiss label INTAKT. Composer Christian Wolff has written a concerto for the duo + orchestra to be premiered in Glasgow, Scotland in spring 2019. Joey Baron, born in Richmond, Virginia, started playing at age 9. Encouragement from his elementary school music teacher led to private studies with local musicians. Joey’s first musical experiences were playing along with his stereo record player in the park. By the time he was twelve, Baron was also working with local bands on weekends. After a very brief period at berklee school of music in Boston he moved to Los Angeles, California to work with his idol Carmen McRae. During this period, Joey also worked regularly with Chet Baker, Blue Mitchell, Leroy Vinnegar, Andy Simpkins, Eugene Wright, Hampton Hawes, Lenny Breau, Lou Rawls, and Al Jarreau. Relocating to nyc in 1983, he quickly established himself as a vital contributor to New York’s creative music scene. Barons talents during this period were welcomed by such diverse musicians / artists as: John Zorn’s Naked City, Toots Thielemans, Red Rodney- Ira Sullivan, David Bowie, Jay McShann, Big Joe Turner, Al Hirt, Laurie Anderson, Pat Martino, Dr John, Allen Ginsburg and Lou Reed. Over the years, he has developed a unique approach to making music with the drum set, evident in his extended tenures with jazz icons Jim Hall, Steve Kuhn, and John Abercrombie. His long-term collaboration with Bill Frisell was recently documented and released on relative pitch records (“JUST LISTEN”). Presently, Mr. Baron is actively touring with the Jakob Bro trio (Thomas Morgan-bass) and the duo project with percussionist Robyn Schulkowsky. Their latest work is documented on Intakt records “Now You Hear Me”. Ongoing projects include solo concerts, workshops, Sound Prints with Joe Lovano and Dave Douglas, as well as various festival concerts with John Zorn. Born and raised in South Dakota, Robyn Schulkowsky has been an innovator and collaborator throughout her life. She has dedicated herself to revealing the wonders of percussion to people around the world. Her continuous exploration of new sound dimensions has led to the development of new and unusual musical instruments. An active musician on five continents, Robyn moved to Germany during a heyday of experimental and adventurous classical composition. She has premiered and recorded some of the most important solo percussion works of the 20th and 21st centuries, working with composers Karlheinz Stockhausen, Iannis Xenakis, and Morton Feldman, presenting their works on tours in Africa, India, Asia, the USA, South America and Mexico. With her percussion quintet “glorious percussion” and Gustavo Dudamel, she premiered Sofia Gubaidulinas’s acclaimed composition “glorious percussion’. Her solo and concerto performances with music by John Cage, Helmuth Lachenmann, and Olga Neuwirth have been presented at festivals like The Proms, Salzburger Festspiel, Musikfest Berlin, Holland Festival, to name a few. Robyn Schulkowsky’s adventurous nature connects her with exceptional project partners, and, also with alternative performance spaces. She has collaborated with legendary African drummer Kofi Ghanaba, visual artist Guenther Uecker, actress Edith Clever, social scientist Nilam Ram, and choreographers Merce Cunningham and Sasha Waltz. Since 1998, as founder of RhythmLab, she has taken drumming workshops to countless cities, involving students, professionals and aficionados alike in rhythm workshops and concerts of original percussion music. Originally conceived for children and teenagers, often conducted specifically for adults, the experience focuses on the immediacy of sonic discovery and the tactile intensity of music – in rhythm, sound and movement. Schulkowsky’s virtuosity has been captured on over 20 recordings, including cds with violist Kim Kashkashian and trumpet players Nils Petter Molvaer and Reinhold Friedrich, and seminal recordings of compositions by Morton Feldman and Christian Wolff, with whom she has collaborated for over 20 years. In 2005 she collaborated with the sound aritist Lukas Kuehne and the drummer Joey Baron for Space and Frequency-RhythmLab, a Live Sonic Sculpture in New York’s Grand Central Station. Her opera, “Child of the Sea Otter” was Premiered in Oldenburg, Germany in 2008. Her own percussion trio composition, “Armadillo” is available on New World Records. 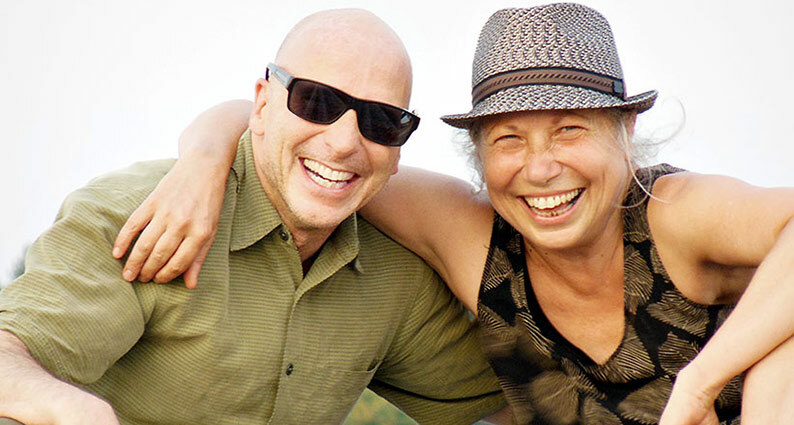 She happily announces the forthcoming release of the duo cd “now you hear me” with Joey Baron on Intakt records.